In five dexterously argued chapters, John Lahr investigates all the major plays and many of Noël Coward's lesser-known pieces. Hay Fever, Private Lives, and Design for Living, for instance, make a fascinating group of "Comedies of Bad Manners." Blithe Spirit and Relative Values raise the "Ghost in the Fun Machine." And Lahr explores the "politics of charm" oozing through The Vortex, Easy Virtue, and Present Laughter. Further chapters consider the patriotic plays like Cavalcade and This Happy Breed and examples of Coward's later work, such as Waiting in the Wings and A Song at Twilight. 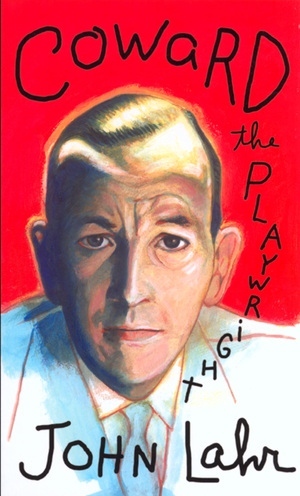 In all Coward's stage work, Lahr detects a coherent philosophy in which charm is both the subject of Coward's comedies and the trap that makes his very public life a perpetual performance. Praised by the New York Times Book Review as "probably the most intelligent and insightful writer on the theater today," John Lahr has twice won the George Jean Nathan Award for Dramatic Criticism, most recently for his work at The New Yorker, where he has written about theater and popular culture since 1992. Mr. Lahr has written sixteen books, among them the novels The Autograph Hound (1973) and Hot to Trot (1974); Light Fantastic: Adventures in Theater (1996); The Orton Diaries (editor, 1996); Notes on a Cowardly Lion: The Biography of Bert Lahr (California, 2000); Dame Edna Everage and the Rise of Western Civilisation (California, 2000); and Prick Up Your Ears: The Biography of Joe Orton (California, 2000). 3. 'SAVONAROLA IN EVENING DRESS'?